Delaware Sea Grant is not in the aquaculture business. Rather, we provide support and evidence-based information to help the aquaculture industry grow and prosper in the state. For shellfish aquaculture to succeed in Delaware’s Inland Bays, oyster farmers, family-run supply chain businesses, and distributors have to step in to meet the demands of the market. Below are some of the first small businesses in the state to join Delaware Sea Grant in rebuilding this important and beneficial industry. Mark Casey and his son Dan have embraced the emerging oyster aquaculture industry wholeheartedly. They are farming their own leases in Inland Bay waters, to be sold under the names above, while also creating supply chain businesses through helping test and build equipment and raising oyster seed stock to sell to other farmers. Chris Redefer was the first oyster farmer to bring his product to market, and his efforts have started to familiarize Delaware consumers with the unique and delicious Inland Bays flavor through his brand, Dewey Beach Selects oysters, grown in Rehoboth Bay near town. The brand name for oyster farmer Chuck Gifford, Dewey Beach Oyster Company products are expected to be the second to market, in the spring of 2019. Gifford grows oysters in Sally’s Cove, Rehoboth Bay. George & Sons’ is based in Hockessin, about as far as one can get from the Inland Bays while staying in Delaware. But they have been an instrumental partner in the nascent market, working to distribute Inland Bays oysters and build awareness and interest in the product. This seafood restaurant was the first to carry Inland Bays oysters, offering Dewey Selects oysters starting in the fall of 2018. Located between Lewes and Rehoboth Beach, Matt’s Fish Camp has Oyster Night on Wednesdays. Matt’s Fish Camp is one of nearly a dozen establishments run by SoDel Concepts. 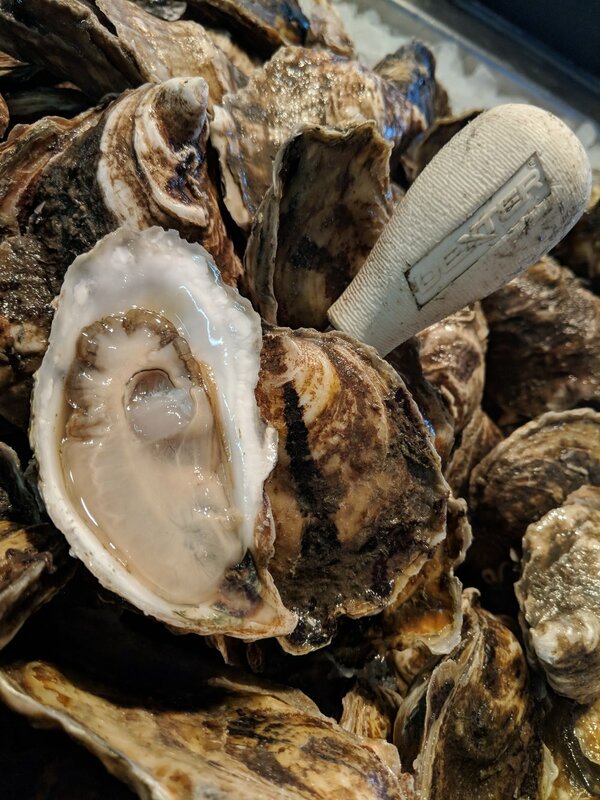 In addition to selling Inland Bays oysters, the Rehoboth Beach-based restaurant group has helped promote them as delicious, environmentally friendly, local food to consumers.